A Few of the Questions I Answered on Catholic Answers Live — Are You Born Again? To listen on-line, click here. For Podcasts and other options, click here. 1. As a Baptist, what did you used to believe about being born again? 2. How do you now answer if someone asks you if you are Born Again? 3. The thief on the cross didn’t get baptized so how could he get born again and go to heaven? 4. How can you say we are born again through baptism when Paul says it is through faith, not works? 5. Why do you think an infant can be born again through baptism when they are not even old enough to believe? 6. 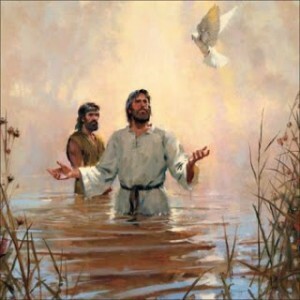 How do you explain Romans 10:9-10 that says we are saved by confession with our mouths and says nothing about baptism? A few articles I have written on this topic and many others can be found here. I heard you on Catholic Answers Live yesterday and I have a few of your talks on CD. You are very knowledgeable and truly inspiring. God bless you ???? I find it odd that most protestants have a strong belief that evil spirits can possess, or enter into, ‘things’, i.e., Ouija boards, people, yet deny the Catholic (and Biblical) teaching of sacraments, sacramentals and relics- in my opinion, they are (unwittingly) ascribing more power, authority, and dominion to demonic spirits than to ‘Holy Spirits’.